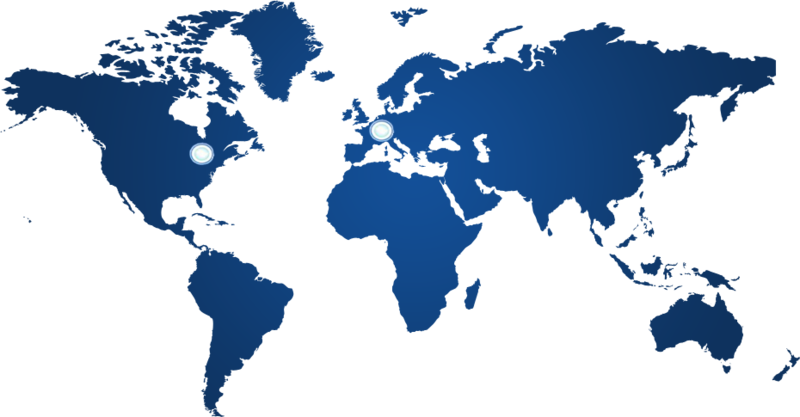 AT PRESENT OUR NETWORK INCLUDES TWO POINTS OF PRESENCE LOCATED IN GERMANY AND CANADA. Tonerro supports voice services in more than 240 countries worldwide and exercises a permanent control and round-the-clock technical support using its own network of international gateways in Germany and Canada. The network structure is based on Asterisk and MVTS soft switch, Cisco Systems voice gateways. It fully complies with the most up-to-date requirements of the new generation networks and supports various types of carrier-to-carrier interconnections, such as ISDN PRI, VoIP-H.323 and VoIP-SIP. It is essential that the net consists of interchangeable and independent backup power, so, in case anything goes wrong with any of the components, the system continues running nonstop. Copyright © 2007-2015 tonerro.org. All rights reserved.